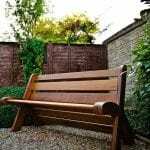 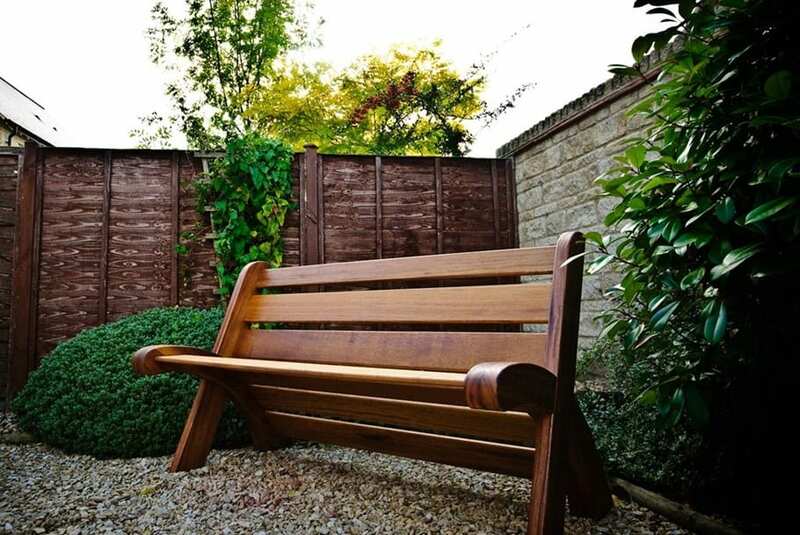 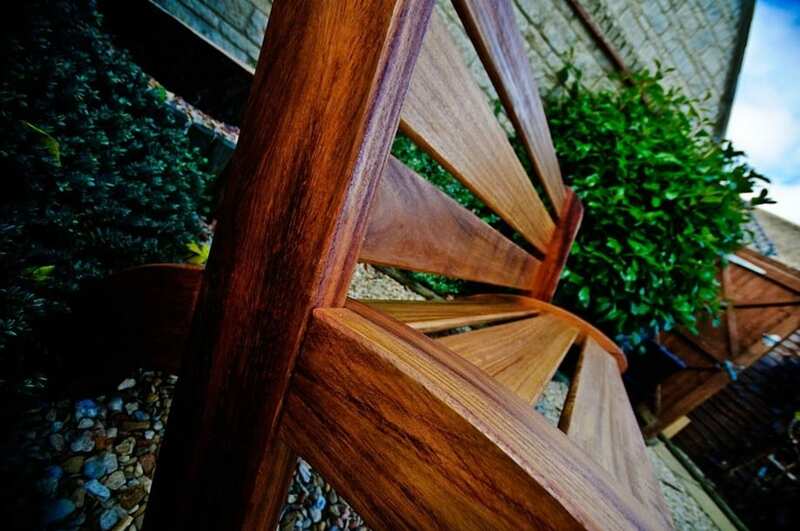 This original design bench utilises solid joinery and clean lines to achieve a very modern look. 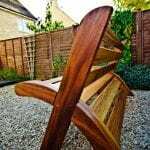 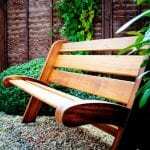 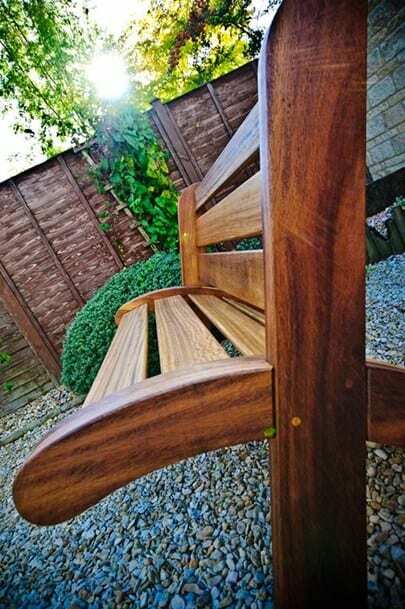 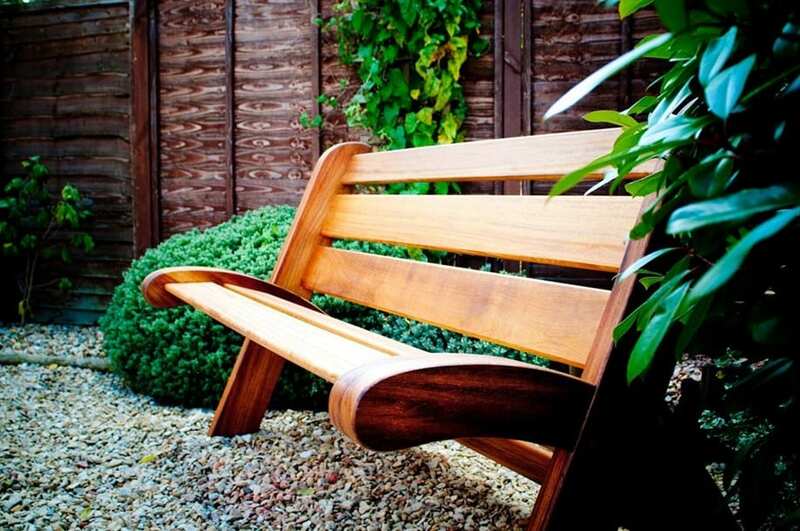 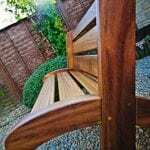 Iroko wood was selected for both its distinctive grain patterns and importantly its durability and excellent suitability for outdoor applications. 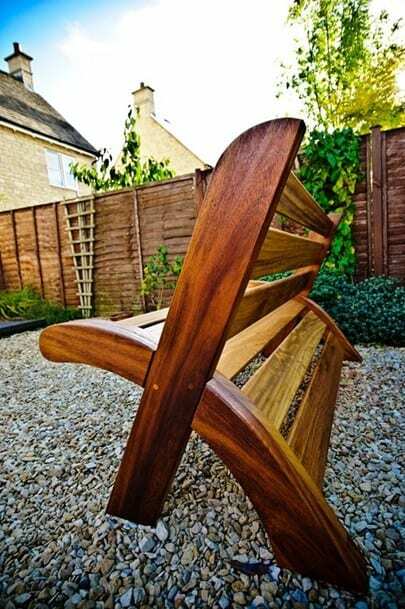 It has an oiled finish for easy maintenance.